If you have hardwood floors that need to be refinished and you're looking to create a beachy or shabby chic look, choosing a driftwood-colored stain is ideal. While it may be impossible to recreate the unique swirls of driftwood on a floor, you can get very close with the color and with a few techniques, you can give the floor an authentic driftwood look and feel. Keep in mind that this project requires sanding the floors down to bare wood. Driftwood makes for an interesting finish for hardwood floors. Seal off the room. Floor sanding creates an incredible amount of dust. Tape over any vents in the room, and hang plastic over doors and windows. Strip the floors. Rent a floor sander and purchase three grades of sandpaper: heavy, medium and fine. While you can use a belt sander, it will take a lot more time. Go on the diagonal in one direction with a heavy grade of sandpaper. Go the other way in a diagonal with a medium grade. Finish by sanding with the grain with a fine grade. The floor sander will not reach the edges of the room; you will need to do this with an edge sander. Create distressed areas. Use a hand sander to randomly gouge out portions of the floor, if you desire a distressed, true driftwood look. Remove all the dust. Use a shop-vac to remove all the dust, particularly between the floorboards and on the edges of the room. Apply a driftwood finish. 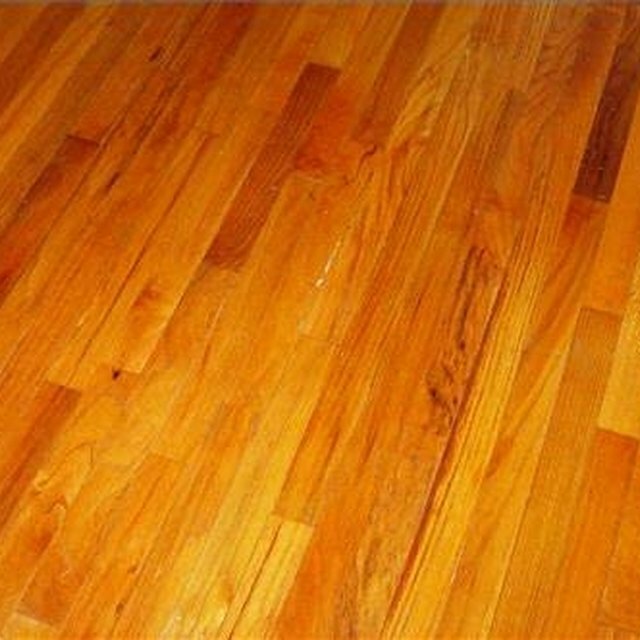 Several commercial wood stain companies offer a driftwood stain. Apply this with a paintbrush and go with the grain of the wood. Apply one coat and let it dry. If you prefer a deeper color, manually sand the area lightly with a fine grade of sandpaper. Apply the second coat. Polyurethane the floor. Use a clear coat of polyurethane to protect the wood finish. Lightly sand the whole floor manually and apply the first coat. Let it dry. Sand again and apply a second coat. Two coats should be sufficient.